Visit Karimunjawa islands now, and witness with your very own eyes the beauty of tropical islands life so highly prided by most Indonesian. The weather is warm, the sky is sunny, the water is crystal clear and the view is literary breathtaking. Located relatively close to Java island, allows Karimunjawa to be an accessible and most importantly affordable holiday destination to marine lover visitor. The operation of fast boat from Semarang has cut the length of trip to the islands to half of the usual length of trip by ferry boat fromJepara. Now, visitor could reach the islands in 3.5 hours trip. No more are-we-there- yet syndrome caused by the six boring hours in the slow moving ferry boat. 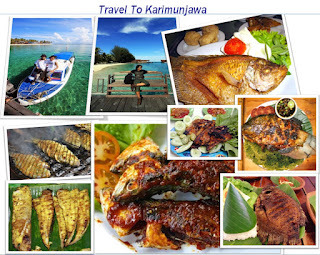 Karimunjawa it self is an island-chains with 27 islands linking in the territory. Only five of them are populated and mostly by local traditional fisherman. In a way, this could show how close the islands to the term of ‘virginal tropical paradise’. The quiet and peaceful surrounding is the perfect hideout for those who wish to escape the hectic and frustrating high-speed city life. Take some time off, slow down a little bit and see how much that would do you good. The status of Karimunjawa as one of the preserved national marine park in Indonesia gives evidence on how beautiful the underwater life is in the islands. No need to rent high cost diving gear or search for a specific location just to view forest of colorful coral reefs and all their inhabitants. They are scattered all over the place! The islands are reported to be the home of 242 different kind of fish as well as 133 genera of aquatic fauna. Just get your snorkel set ready at hand, plunge into in the water and enjoy…. Get tanned! Get sunburned even!.. Most of the islands are blessed with white sandy beaches that stretch along the shoreline. So what you need to do is pick a spot to your liking, laze out in the sun and voila!...Those celebrity golden chocolate skin will be yours by the end of your holiday. So what are you waiting for?.. 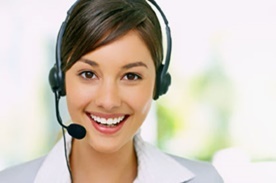 Contact our customer service now, terror us with your zillion questions, even those of the most trivial ones, and let us arrange a fun trip that suit best to your preference….and your budget of course. 1. Swim with sharks: Really?.. Yes, really!.. Swimming with sharks is a must to do activity while you stay in the islands. Test your guts and have memorable pictures taken with the sharks circling around you in the conservatory shark pool. 2. Fishing: Night fishing is a favorite activity to some visitors. Do it by your self or join a tournament that frequently held by local government and institution. 3. A trip by glass bottom boat: Not really an Olympic qualified swimmer?.. Fear not people, there are plenty shallow water in the surrounding. But if you want to see the marine life in deeper water, joining a glass bottom trip is a must. 5. Diving: If you are one of the people who are not satisfied by snorkeling slowly around the islands, diving is definitely an option. Rent a diving gear and get set to the various diving sites available in the islands. FYI, one of the most favorite is Indonoorshipwreck. Psst….you hear that?..That’s the warm breeze of the islands calling out your name. Now, it’s your turn to let the inner adventurous side of yours to answer the calling. Clear your schedule, gather a group of friends or family, book a flight, pack your bag and get here!! But before any of that, make sure that you are equipped with enough information. Better be fussy than get lost. Call our customer service now or YM us. We’ll be most pleased to assist you.